1. Year long contract – both for renting out my house back home, but also for visa stuff here in Cambodia. 2. I wanted to use my marketing degree. I still feel super blessed to have had to opportunity to go to college, I wanted to use that plus a decade of professional experience to make an impact here in Cambodia. 3. I wanted to work with vulnerable populations – and human trafficking definitely fit that bill. 4. I wanted to be able to bring Bullet with me. a. I wanted to work somewhere that valued language learning. b. I wanted to work for an organization that had some checks and balances – a board of directors, grants that they had to report on, and other various forms of accountability. c. I wanted to work with a team, be a mentor, but also receive mentoring. d. Had a solid job description with clear expectations for my role. 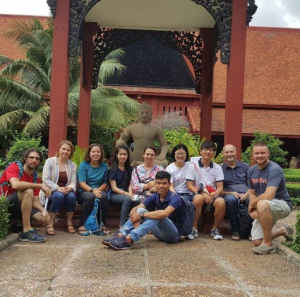 e. I wanted to work for an organization that allowed me some flexibility while I continue to learn and grow here in Cambodia. Some of the MRO team. All that being said, I’m really excited to announce that I’m now working as the PR Advisor for an organization called, M’lup Russey (MRO). This is a Christian, non-governmental local organization in Cambodia that works with orphans and vulnerable children to receive care. They believe that communities play an important role in the development of families and children. 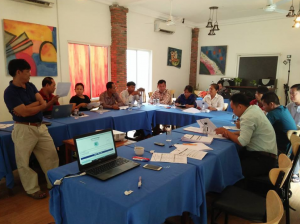 They partner with all levels of Child Welfare Networks and cooperate with the Ministry of Social Affairs, Veterans and Youth Rehabilitation (MoSVY) to promote Cambodia’s alternative care policies, procedures, standard, guidelines and best practices in case management issues by the Cambodian government. There are so many reasons, why I’m so excited to be joining this amazing organization. (Other than the fact that Bullet will be joining me in office on Wednesdays!) 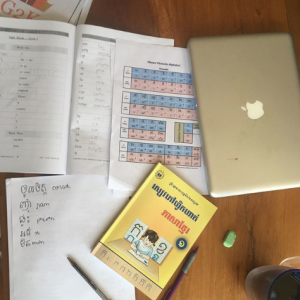 I’ll be working with their really smart, IT Manager, to help get their website up to date in both Khmer (for the communities) and English (for the donors) and highlighting all the really amazing work they are doing in the communities. Just this week, MRO presented on “Orphan Care and Trafficking” with some experts on implementing partnerships and supporting partners at an Integral Alliance Anti-Trafficking and Exploitation Collaboration workshop in Bangkok, Thailand. How amazing is that?! I’ve already hit the ground running at MRO in November getting some new content to be published soon on their website and Facebook page. If you have any questions about this organization or my work there, please send me a note and I’ll be happy to answer as best I can. Level 3 Cultural Day – Nationalities represented: Brazil, Finland, USA, El Salvador, Cambodia, South Korea. Like in September, I struggled a little bit with, “I’m a missionary, but I’m not really doing much in terms of missionary things at the moment.” God, in His fatherly goodness, really pressed into me that this was in fact a negative belief. Here are just one of the ways during a month of “no missions” I could see God weaving His story into my story and beyond. 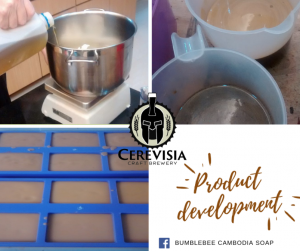 Bumblebee Soap X Cerevisia Craft Beer. 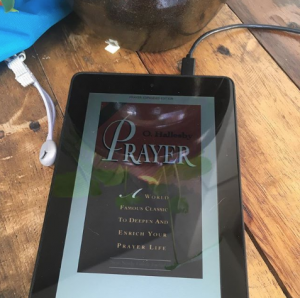 Joining in the Prayer Bible Study from my home church, Oaks Parish. Thank you again to my home church, Oaks Parish, for being my sending church and helping support me as a Christian missionary. I still get your weekly updates and it’s been great to talk to the Pastoral team as Oaks Parish continues to grow in these upcoming months. It’s been amazing to continue to pray for wisdom for the church as well. So thank you for sharing with me and continuing to share with me. 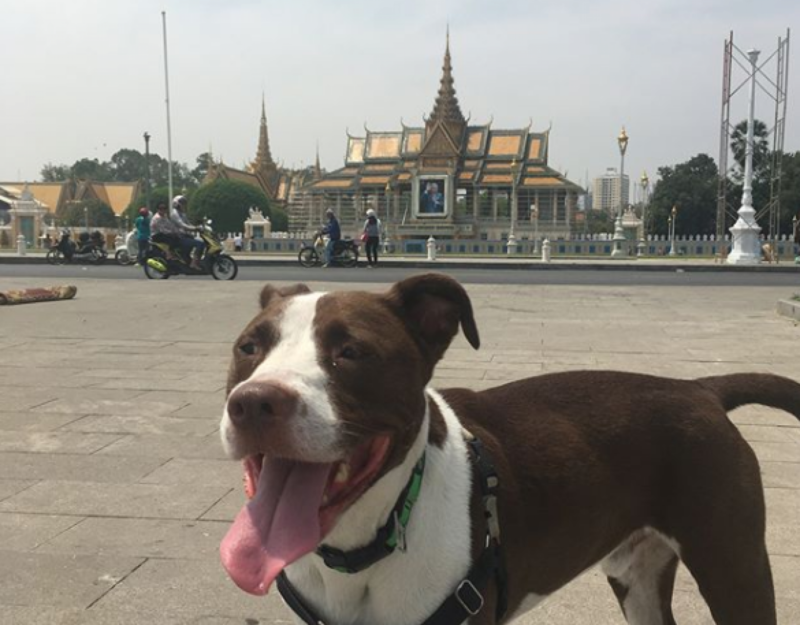 A lot of other awesome things happened in October, I went to Vietnam for a motorcycle ride, finished an amazing cross cultural book, continued to teach at the Craft Corner at my English church. I seriously would love to share more with you. Please write to me! As always, below are some prayer requests. I really love hearing from everyone back home. I look forward to hearing from you! There is so much good news and answered prayer in this update. I am doing my happy dance!